Jingle Bell Glock — The whole precinct’s holiday celebrations are cut short when they’re called to examine a ruthless homicide linked to Eddie Flores (guest star Raul Casso, Fear the Walking Dead), the deranged nephew of a notable drug lord who has a previous history with Riggs. The holiday season weighs heavily on Riggs, who flashes back to past Christmases with his former wife, Miranda. Murtaugh is also a little preoccupied with his neighbor’s obnoxious holiday decorations. Guest Cast: Michelle Mitchenor as Sonya Bailey, Floriana Lima as Miranda Riggs, Tony Plana as Ronnie Delgado, Danny Mora as Tito, Raul Casso as Eddie, Alyssa Diaz as Hannah, Marco Rodriguez as Alberto. Grief-stricken after the loss of his young wife and unborn child, ex-Navy SEAL-turned-detective Martin Riggs (Clayne Crawford, Rectify) moves to California to “start over” at the LAPD. He’s paired up with Roger Murtaugh (Emmy Award nominee Damon Wayans, My Wife and Kids, In Living Color), who’s just coming back to the job after a near-fatal heart attack. Riggs’ penchant for diving headfirst into the line of fire immediately clashes with Murtaugh’s prudent, by-the-book technique. When Captain Brooks Avery (Kevin Rahm, Mad Men) assigns them their first case together, Riggs drags Murtaugh into a high-speed chase culminating inside the Long Beach Grand Prix and a seaport shootout with drug dealers – and despite his protests, the older cop feels more alive than he has in years. 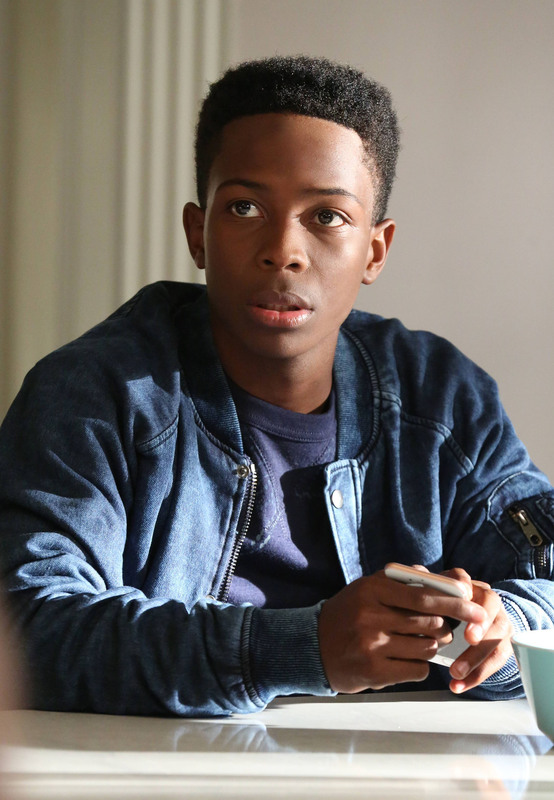 Meanwhile, Riggs gets a glimpse of why Murtaugh is so determined to get home safely at the end of each day – he’s got a wife, Trish (Keesha Sharp, The People v. OJ Simpson: American Crime Story), teenagers Roger Jr. (Dante Brown, Mr. Robinson) and Riana (newcomer Chandler Kinney) and a newborn baby. Riggs’ life-on-the-edge attitude makes him a priority case for the department’s psychologist, Dr. Maureen “Mo” Cahill (Jordana Brewster, Furious 7). Rounding out the precinct is Scorsese (Johnathan Fernandez, Girls, Younger), a pathologist with the LAPD who got his nickname after a stint in film school, which no one will let him forget. The “Jingle Bell Glock” episode of Lethal Weapon airs Air Date: Wednesday, Dec. 7 (8:00-9:00 PM ET/PT) on FOX. Follow @ScreenSpy on Twitter | ScreenSpy on Facebook for more Lethal Weapon scoop. LETHAL WEAPON: "Jingle Bell Glock"